Long Range Shooting - Turret "buyers checklist"
The design, feel and functionality of the scope turrets (or knobs) is particularly important to shooters, and especially so in long range shooting where every small detail is magnified. When choosing a scope, pay particular attention to the function of the turrets. •	Do the turrets match the reticle i.e. are the turret measurements in MOA or MILS (MRAD), and is that same for the reticle design? This is important and should match. •	Do the turrets sound and feel solid? Do they have a clean and clear “click” as you turn them or are they mushy or vague? You want to feel a clear delineation between each click as you will need to make accurate (and sometimes fast) changes in the turrets. Avoid anything that doesn’t feel clean and clear to you. •	Do the turrets feel easy to turn, and not sloppy or stiff? Can you turn them accurately with gloves on, in the rain, or in a hurry under pressure? •	If you can, ensure that the turrets offer up accurate tracking. This means the amount of elevation or windage you dial into the turrets is accurate down range in point of impact changes. This is harder to achieve at long distance for the manufacturer and and even tiny errors cause big issues in this sport. The better the quality of the scope, the better they are at tracking and precision as a general rule. We have made an effort to describe this in our reviews later in the book. •	Next, do you need capped or uncapped turrets? Nowadays most of us prefer locking uncapped turrets, but you may want a capped windage turret if you always hold for wind. •	The way the turrets are modified during the zero process is important. If you need to make all sorts of changes to the turret with a ton of tools this can be annoying and inconvenient. Avoid those that require special tools. •	Avoid cheaper models that have turret designs with poor purchase from the turret screws on the internal mechanisms and can cause slipping of the turrets over time. These designs have a simpler turret design that only grabs the spindle of the tracking mechanism is one or two places that can get worn and unreliable. The perfect solution for this is the Tangent Theta scope that has a “tool-less” design that is fast, easy and reliable. •	What personal features do you require? Most of us like a zero-stop feature where we can quickly return to our zero setting without looking at the turrets, and a zero stop at the bottom of the turn makes that easy. You may also want to have larger diameter turrets that are easier to manipulate, or you might prefer a low-profile design that takes up less of the field of view and is less likely to get bumped in every day use. 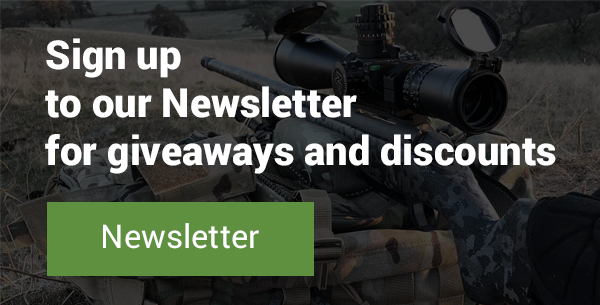 •	You may alprefer scopes that offer up “ballistic” turrets that you can customize to your rifle/caliber setup so you can simply dial the distance to the target. This is very convenient if you have a primary caliber/rifle that the scope will stay on for life. •	We suggest trying to find a scope turret that’s easy to read when you are behind the rifle so that you can stay “in” the rifle without having to move too much to dial in changes. •	Consider the placement of other knobs like illumination and parallax. Are these easy to use in parallel with the turrets? Are they also accurate? Parallax removal is essential for every long range shot. •	Ensure the fit and finish is right. Do the turret measurements all line up right as you turn back and forth? It’s critical that they don’t slip or move and they line up right every time. You want to avoid any scope where the turret markings are not perfectly aligned. These are the key features of a modern long range turret on your scope. Of course, there are lots of variations on the above themes you can choose from. Turret design and function is important on a quality scope. Don’t overlook a thorough testing of the turrets while considering the options.